2. Can an IRA Be Taken to Pay Debt? The funds you deposit in an individual retirement account are supposed to stay safe and tucked away until you retire. But what if you are squeezing every last drop out of your paycheck but still feel like you're drowning in debt? Surely, it's better to tap into your retirement fund than have those balances hanging over your head? The tax man thinks so, to a point. If you need an emergency loan, the IRS will let you borrow from your IRA without penalty. But if you can't reinvest the money within 60 days, then borrowing from your IRA could be one of the worst financial moves you've ever made. What Are the Rules for Using Retirement to Pay Off Debt? IRAs are not ATMs; you're not supposed to withdraw the money until you retire. But if you have an urgent need for cash, you can take money out of your IRA as long as it goes back in again within 60 days. Redeposit the money within this window, and the Internal Revenue Service will treat the transaction as a rollover, even if there's only one IRA involved. This means you won't get stung for taxes or penalties on the loan. That's the 60-day rule. There's also a 12-month rule which limits the number of times you can perform this maneuver. Basically, you can borrow from each of your IRAs once in every 12-month period. Do it twice, and your second loan is a prohibited transaction. You risk the IRA's tax-exempt status and you could end up having to pay taxes on your fund. For paying off debt, a quick in-and-out loan may sound unhelpful. How are you supposed to re-fund the IRA when you've already used the money to pay off a debt? But, there are times when it can work to your advantage. For example, if you've got a tax refund coming, or a Christmas bonus, you can use that to repay your IRA loan. What Happens if You Miss the Redeposit Window? The 60-day redeposit window is the reason why borrowing from your IRA is a bad idea for most people. Miss the deadline by even a day, and you will owe a 10 percent penalty on the amount you withdrew from your account. The 10 percent tax penalty is known as an early withdrawal penalty. It applies whenever you take money from an IRA before age 59 1/2. With a traditional IRA, you also have to pay income taxes on the withdrawal. That's because you didn't pay taxes on the contribution before you put it in. With a Roth IRA, assuming you made the deposit at least five years ago, you can take the money out tax-free because you funded it with after-tax dollars. However, the tax-free status of Roths only applies to the amount you actually contributed. If you attempt to pull out your Roth investment gains, they will be subject to taxes. To make matters worse, pulling out a large chunk of cash from your IRA could push you into a higher tax bracket. Suppose you earn $35,000. In 2018, you pay tax at the 12 percent rate. But if you pull $10,000 out of an IRA and fail to refund it within 60 days, your taxable income suddenly jumps to $45,000. Now you're in the 22 percent bracket, based on 2018 rates. All these charges and penalties add significantly to the cost of withdrawing the money, and could jeopardize your retirement savings. Do You Qualify for a Hardship Exception? In other words, if you're in debt due to unpaid medical bills or health insurance premiums or because you've lost a job due to disability, you should be able to get some help through your IRA. Be aware that you can withdraw only the amount you need to pay the bills, and you must make a decent stab at getting the money from another source first. So far, the rules have more or less blocked you from withdrawing IRA funds to pay, say, a credit card debt, without incurring some serious penalties. There is, however, one final rule that might help a minority of debtors out. Known as rule 72(t), this rule allows you to withdraw cash from your IRA penalty-free (but not tax-free) before age 59 1/2, provided you withdraw at least five SEPPs – that's "substantially equal periodic payments" – over your lifetime. The rules are complicated. But what you're basically doing is taking an annual distribution until you turn 59 1/2, or for five years, whichever comes later. The amount of the SEPP payment is set by the IRS based on your life expectancy and the IRA balance. You can use the distribution in whatever way you wish, including paying off your debt. To be clear, you need a decent amount of cash in your IRA for the SEPP scheme to work out and it's not a solution if you're simply looking for emergency access to retirement funds. You definitely should speak to a financial adviser about whether this is even an option for you based on your fund, debt load, age and retirement goals. Should You Consider Taking Money Out of an IRA to Pay Debt? Assuming you're under age 59 1/2, you should borrow money from your IRA only if you're confident that you can pay it all back within the 60-day deadline. If you can't, then you almost certainly will forfeit 10 percent of the money as an early withdrawal penalty, and you will lose the tax protection the money enjoys while it is sitting in an IRA account. 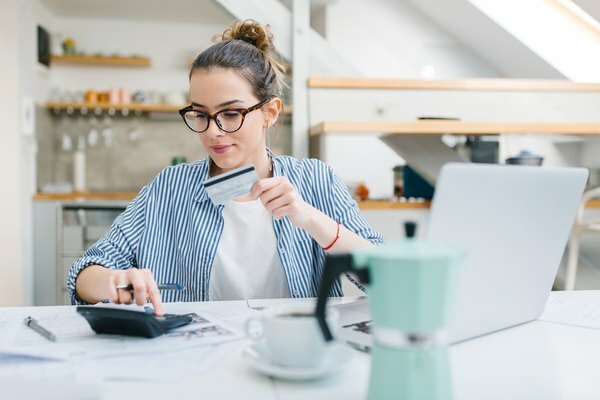 Just about any other debt-reduction solution would be better in this situation, so if you can take out a personal loan or sell things to pay down your debt, consider those options first. If you really have exhausted all the options and you need to access your IRA, despite the penalties and taxes, then be as tax-conscious as you possibly can. Pick the debt with the highest interest charges to pay off first, and withdraw the exact amount you need to pay it off – not a dollar more. When figuring out how much to withdraw, calculate the amount of penalties and taxes, and add it to the amount of debt you wish to pay off. If the withdrawal is going to push you into a higher tax bracket, think about withdrawing the money over two tax years to minimize your tax bill.